Listen live to your BBC local radio station: BBC Radio Leeds, BBC Radio York, BBC Radio Humberside and BBC Radio Sheffield. 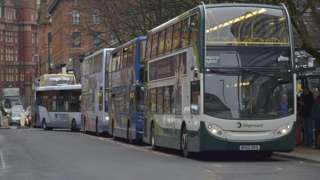 The Mayor of the Sheffield City Region said the review would look at why bus usage has been falling. M18 South Yorkshire northbound severe accident, from J1 for A631 Bawtry Road to J2 for A1. M18 South Yorkshire - Stationary traffic on M18 northbound from J1, A631 (Bramley) to J2 A1(M) Doncaster Bypass, because of all traffic being temporarily held and an accident. A1(M) North Yorkshire northbound severe disruption, at J46 for B1224 Racecourse Approach. A1(M) North Yorkshire - A1(M) lane closed on exit slip road northbound at J46, B1224 (Wetherby), because of a broken down vehicle. A638 West Yorkshire both ways severe accident, at The Butchers Arms. A638 West Yorkshire - A638 Halifax Road in Staincliffe blocked and slow traffic at The Butchers Arms junction, because of an accident involving two cars. 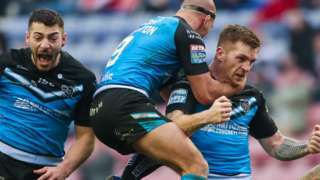 Hull FC beat Wigan thanks to Marc Sneyd's drop-goal in Super League's first-ever golden-point extra time. 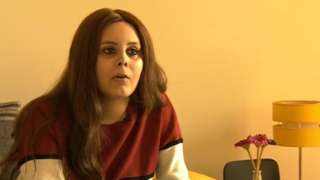 The 25-year-old has stage IV breast cancer and needs the money to go abroad for further treatment. A169 North Yorkshire both ways severe accident, from Goathland turn off to RAF Fylingdales. A169 North Yorkshire - A169 in Goathland closed and queuing traffic in both directions from the Goathland turn off junction to the RAF Fylingdales junction, because of an accident. 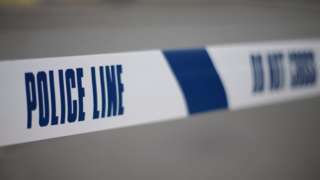 The suspect is being held as part of a pre-planned operation into suspected extreme right-wing activity. 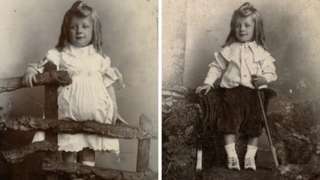 One sepia image shows the Victorian rite of passage known as "breeching". A630 South Yorkshire southbound severe accident, from A6178 Sheffield Road to A631 Bawtry Road. A630 South Yorkshire - A630 Centenary Way in Rotherham closed and queuing traffic southbound from Ickles Roundabout to Canklow Roundabout, because of an accident. M1 Derbyshire northbound severe disruption, from J30 for A616 Worksop to J31 for A57 Worksop Road Sheffield. M1 Derbyshire - One lane closed on M1 northbound from J30, A616 (Worksop) to J31, A57 (Sheffield), because of a broken down vehicle. Traffic is coping well. M1 West Yorkshire northbound severe disruption, from J39 for A636 Denby Dale Road Wakefield to J40 for A638 Wakefield Road Ossett. M1 West Yorkshire - Broken down vehicle on M1 northbound from J39, A636 (Wakefield) to J40, A638 (Ossett). Traffic is coping well. M62 West Yorkshire eastbound severe accident, from J22 for A672 to J24 for A629. M62 West Yorkshire - One lane closed on M62 eastbound from J22, A672 (Rishworth Moor) to J24, A629 (Ainley Top), because of an accident. Traffic is coping well. M62 West Yorkshire eastbound severe accident, from J22 for A672 to J23 for A640 New Hey Road. M62 West Yorkshire - Two lanes blocked and queuing traffic on M62 eastbound from J22, A672 (Rishworth Moor) to J23, A640 (Huddersfield), because of an accident. 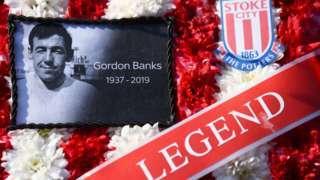 A celebration of Gordon Banks at Stoke and Kevin Ellison's 40th birthday, plus other EFL news you may gave missed. M1 West Yorkshire northbound severe disruption, from J40 for A638 Wakefield Road Ossett to J41 for A650. M1 West Yorkshire - One lane closed on M1 northbound from J40, A638 (Ossett) to J41, A650 (Carrgate), because of a broken down vehicle. Traffic is coping well. 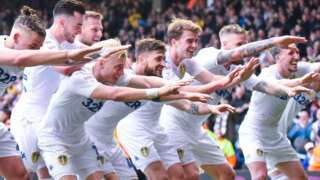 Leeds maintain their automatic promotion challenge with victory over struggling Bolton at Elland Road. 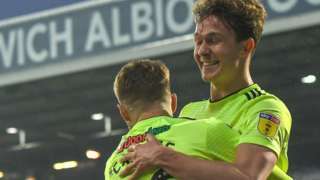 Sheffield United beat West Bromwich Albion at The Hawthorns to retake second spot in the Championship. M18 South Yorkshire southbound severe accident, from J2 for A1 to J1 for A631 Bawtry Road. M18 South Yorkshire - One lane closed on M18 southbound from J2 A1(M) Doncaster By Pass J35 to J1, A631 (Bramley), because of an accident. Traffic is coping well. 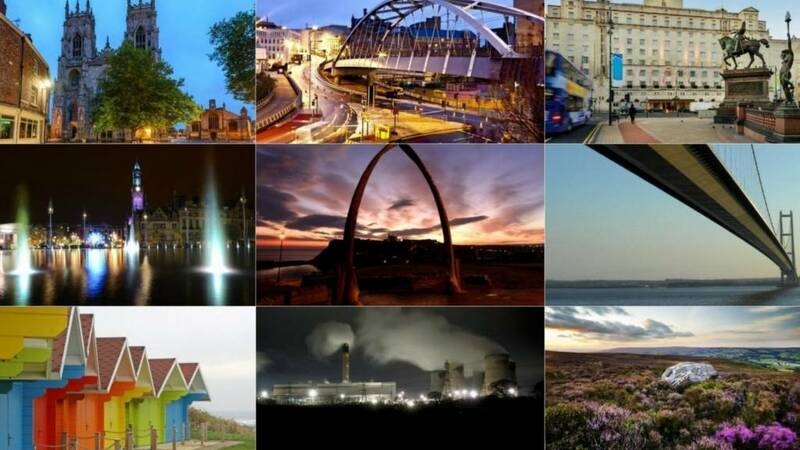 News, sport, weather and travel from across South Yorkshire. News, sport, weather and travel from across West Yorkshire. News, sport, weather and travel from across North Yorkshire. 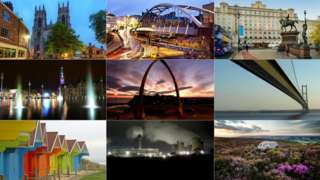 News, sport, weather and travel from across East Yorkshire and northern Lincolnshire.